The Internet is a powerful tool that many probably understate nowadays. It is because Internet connections have become a common facet of every home, workplace, and academic institution. But do you really know everything about it? Verify what you know with the following information. Internet was once a privilege. Unlike today, there was a time that only a few people have Internet. The limitations were posed by a number of factors. For one, only those who have a computer can connect to the Internet. Costs of having Internet connection is also an aspect. You might be surprised to know though that not all places in the world have full access to the online world. Everything still depends on the cultural background, technological innovations, and financial capacities of different societies. The World Wide Web and Internet once have different meanings. People of this generation now interchange world wide web and Internet. But during the initial development of the Internet, world wide web was used to denote the basic building blocks of organizing and categorizing different programs and documents on the Internet. Almost every information you need is on the Internet. Students can easily do research with the advent of stronger Internet connections and wider availability of online information. Doing paperwork’s would not automatically require students to spend their time in the library. Simply keying in search items in search engine websites could do the trick. The results would appear in a matter of a few milliseconds. Internet gave birth to social media platforms. As more and more people become more dynamic, the demand to have real time connections also increased. Living in a seemingly borderless world has become a lot easier with the rise of social media. The best thing about it is that this particular Internet feature is also making a mark of its own. There are many Internet connection packages available. Do not ever go into thinking that you are stuck with only one or two Internet Service Provider (ISP). In the US alone, there is a long list of ISPs offering seemingly endless options of Internet connection packages. The trick in getting only the best is to cross check your needs with the features of the connection. The monthly costs would also be a major consideration. 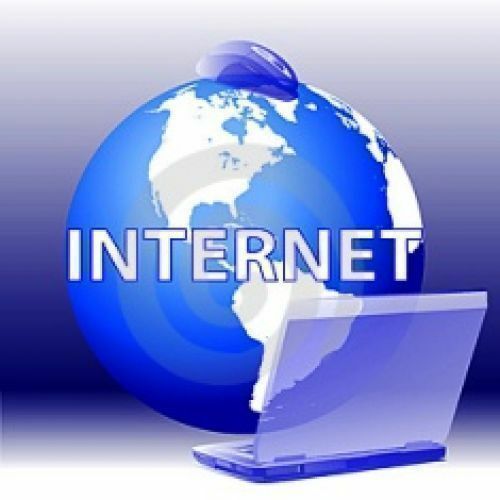 If you are currently looking for internet, use this broadband deals page. The Internet still has unknown potentials. Experts agree that the Internet might not have reached its peak yet. It’s a powerful tool in a sense that it can be further developed to infinite possibilities. IT professionals are actually excited for a promising future for the Internet. With all the promise the Internet brings, it’s quite easy to see that the technology is just starting out. As expectations are pegged higher, there would definitely more to come for the Internet. The author is an Internet diva. She believes that almost everything can be done online. This online guru has been frequently invited as a resource speaker for forums on the promise of the Internet. She is also a consultant for many highly-successful Internet-based brands.